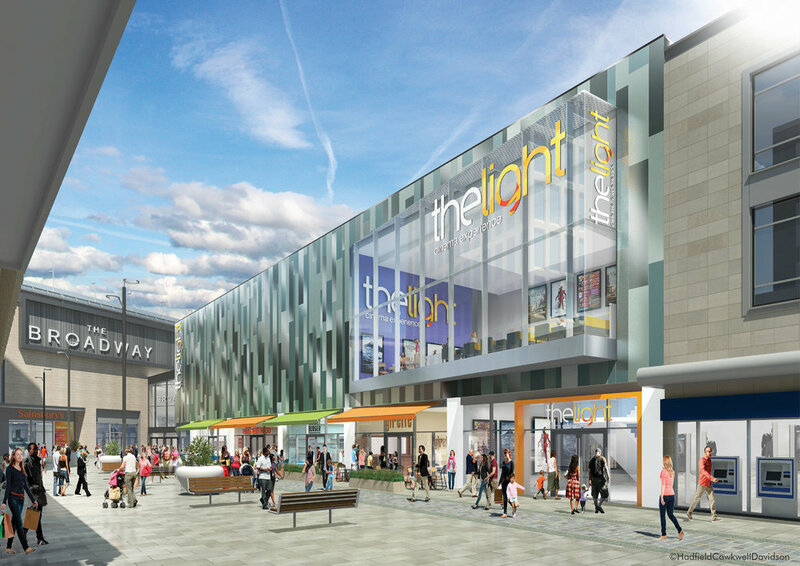 Granted planning permission in late 2015, The Light is located in Bradford City Centre adjacent to the newly constructed The Broadway shopping centre. 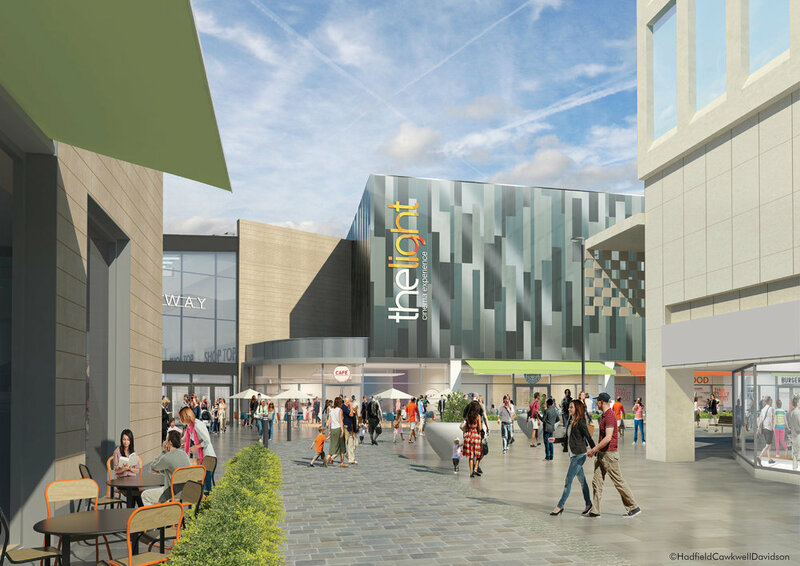 The existing building was in a poor state of repair and HCD were employed to create a brand new 6 screen cinema, restaurants and cafes to bring life back to the streetscape. The surrounding buildings exhibit a diverse range of styles and are of a wide variety of ages. There are a large number of listed Victorian buildings in Bradford City Centre generally and there are 3 conservation areas nearby; City Centre Conservation Area to the west, Little Germany Conservation Area to the east and Cathedral Precinct Conservation Area to the north. The existing context was intrinsic to the formation of the building’s primary façade. Through simple in form, we echoed the existing context in elements of our design, following the main parapet line and canopy and mirroring the neighbouring building’s window placement. Structural columns between the restaurant units are strongly expressed and reflect the existing rhythm of the buildings. The cinema “box” breaks the traditional cinema model of the mock façade. Historically, cinemas have been closed boxes with attractive elements on the entrance, here the primary space of the cinema’s foyer is fully glazed and allows the activity and lighting within to enliven the façade and the street outside. Additional elements of the scheme’s design include an area of green roofing to help encourage biodiversity was well as providing rainwater attenuation, water and energy saving technologies as well as LED lighting throughout the development. Overall, the scheme aimed to drastically improve the existing condition of the site, providing an inclusive, sustainable building that will bring new life to a long-neglected street-front.